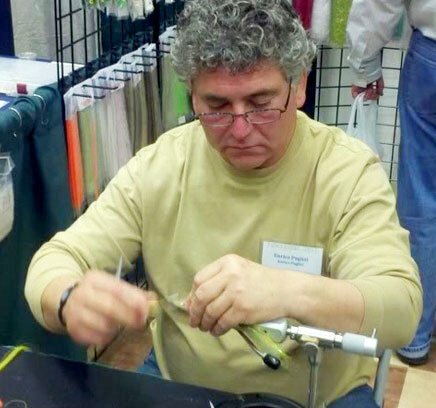 On Saturday, Pack and Paddle in Lafayette will host a "Fly Tying Level 1" at their store on 601 East Pinhook. Time is 9:00am. Cost is $20 and seats are limited, so pre-registration is required. 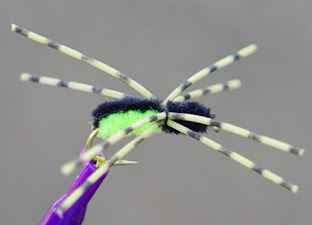 The class will cover the basics of fly tying, with hands-on instruction in tying two flies effective for fishing here in Louisiana. All tools and materials are provided. To register online, go to www.packpaddle.com and click on "Store Events". This weekend's low pressure system over the northern Gulf has given us our only taste of hurricane season so far. But the majority of storms that hit the northern Gulf Coast take place in September, so no sigh of relief yet. And now we may have our first storm. A tropical wave in the Bahamas is slowing moving northwest. 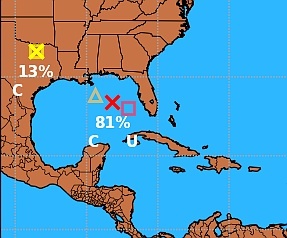 The National Hurricane Center has given it an 81 percent chance of developing into a tropical depression or storm. If it's a storm, the name will be Gordon. Like most low-pressure systems in the Atlantic and Caribbean this year, development has been slow due to wind-shear, and milder water temperatures. But once it moves into the Gulf, this system will find more ideal conditions. In fact, it's forward speed may be the only thing preventing it from reaching hurricane strength. Starting Monday, we'll be posting all updates on this storm on our Facebook page. While SweatFest 2018 isn't over, it soon will be. 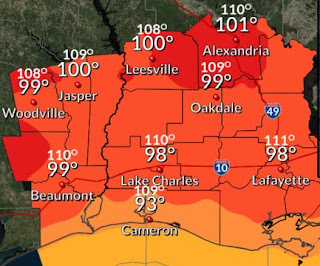 For example, the averages for today in Alexandria are 92 high, 72 low. By the last day of this month the averages are 84 high, 62 low. But that's half the story, because average humidity in September is lower as well. The combination of lower air temps and lower humidity and shorter days/longer nights means greater radiative cooling of waters. Consider that the amount of daylight and angle of the sun today is equivalent to that of April 9th. As for radiative cooling... last year on this day the water temp here on Cotile Lake was 90 degrees. A week later - with no cool front - it was 86 degrees. By the end of the month it was 78 degrees. Why is this important? When water temps get below 80 degrees, fish go into their fall feeding frenzy. 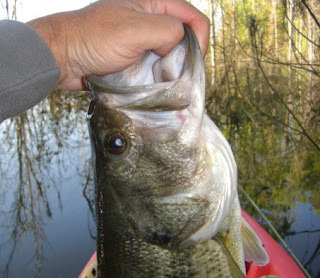 Bass school, redears congregate, spotted bass turn on, speckled trout move inside, crappie move to the shallows. 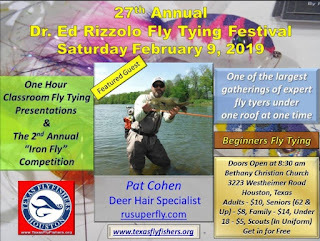 So make plans now, tie those flies, get your casting tuned-up. It's about to happen! Activities wise, there are a couple of major events taking place this month. 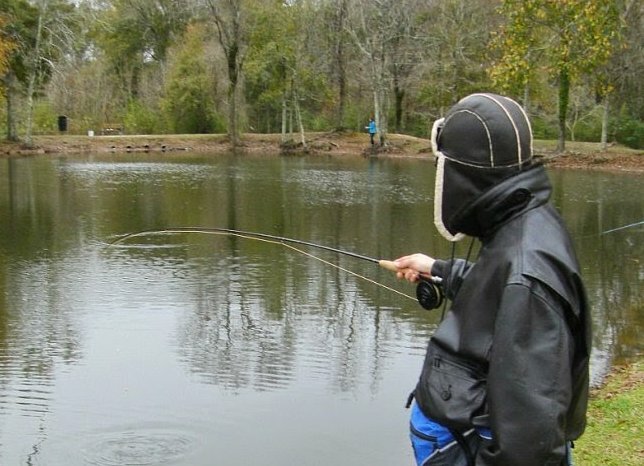 The 10th annual Rio Grande Fly Fishing Rodeo - hosted by the New Orleans Fly Fishers - is the largest and oldest freshwater fly fishing tournament on the Gulf Coast. It takes place Saturday, September 22nd. The target species is the rio grande perch, the only cichlid native to the United States, but which was non-native to Louisiana. Pre-registration ends soon, but onsite registration will be available. More details can be found on www.neworleansflyfishers.com. September 22nd is also National Hunting and Fishing Day. 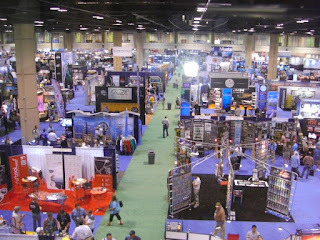 NHF Day celebrations are hosted by the Louisiana Department of Wildlife and Fisheries at four venues, and average over 8,000 attendees. Admission is free. 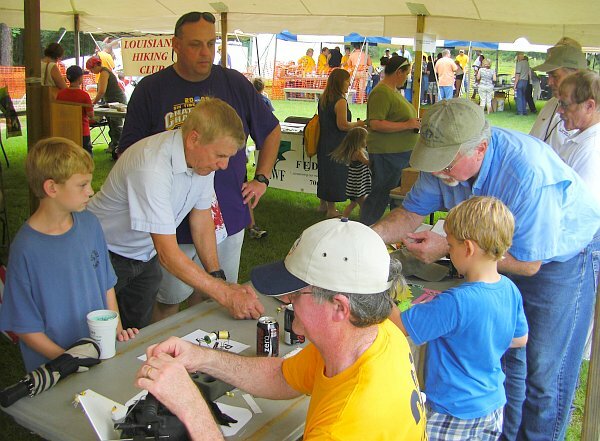 There are hands-on activities for all ages, plus exhibits, food, and more. 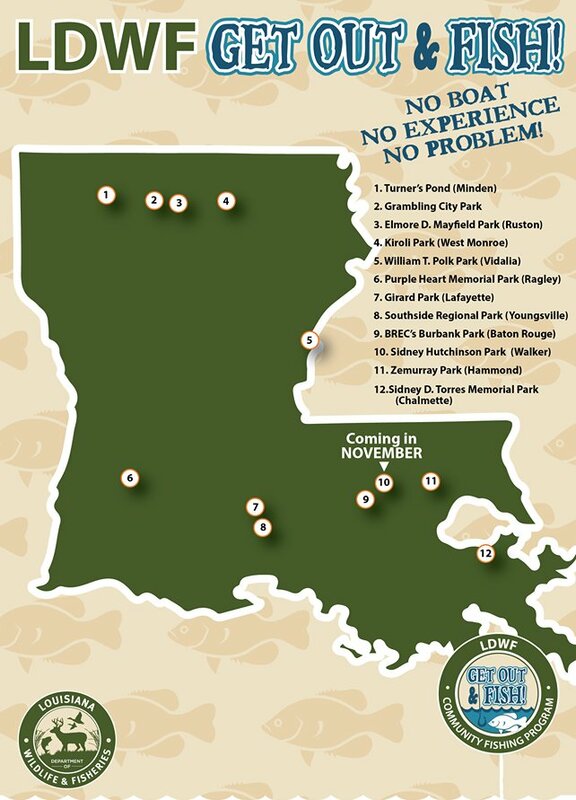 The Minden, Woodworth, and Baton Rouge venues will have fly fishing and fly tying supported by local clubs. Maxine McCormick. Photo courtesy of ACA. 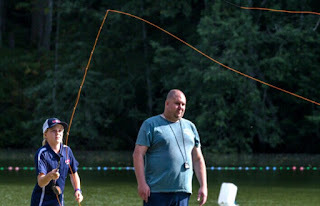 The American Casting Association held its 110th National Championships the week of July 25-28 in Valpariso, Indiana. 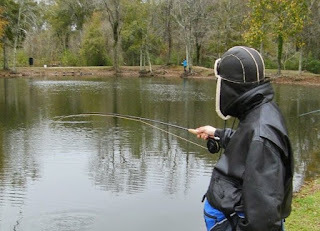 Participants from across the country came to compete in casting competitions involving both conventional and fly tackle. 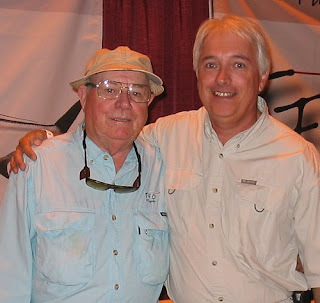 In the last few years, the ACA Nationals have been of high interest to flycasters everywhere. 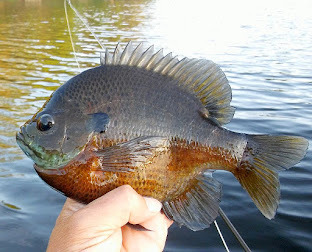 First, because of renewed interest among fly clubs in casting games. Second, because of the numerous records set by Steve Rajeff, one of the greatest fly - and conventional - casters of all time. Rajeff's record 243-foot single-handed distance cast is jaw-dropping! Finally, there's the extraordinary accomplishments of 14-year old Maxine McCormick, who has been the subject of countless national news stories. 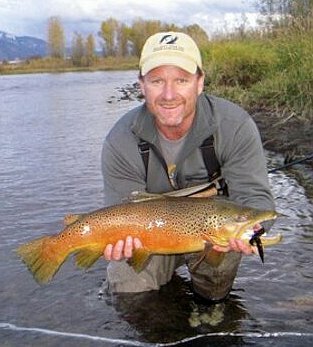 And who many think will be the greatest female fly caster since the legendary Joan Wulff. Yesterday, the ACA posted the official results of the competition. 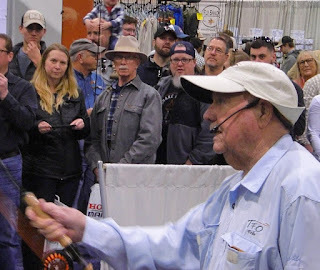 In the men's fly competition, it was once again a battle royale between Rajeff and Henry Mittel. Rajeff came 1st in the 2-handed Distance with 240 feet, followed by Pat McFadden at 236 and Mittel at 235. In the 1-handed Distance, Rajeff was first with 208, followed by Mittel with 204, and Keith Pryor 156. In 2-handed Distance, Keith Sharp won Senior men with 204 feet. Pam Peters won Womens with 147, and Maxine McCormick won Intermediates with 146. In 1-handed Distance, Keith Sharp won Mens with 170 feet, Peters won Womens with 119 feet, and McCormick won Intermediates with 130 feet. The Accuracy Division of the ACA Nationals focuses on hitting five targets of varying distance in sequence. A perfect score is 100 points. In Dry Fly Accuracy, Chris Korich won Mens with 99, Larry Moffett won Senior Men with 95, Pam Peters won Women with 97, Alice Gillibert won Senior Women with 89, Maxine McCormick won Intermediates with 96. In Trout Fly Accuracy, Steve Rajeff won Men with a perfect 100, Charles Phillips won Senior Men with 95, Pam Peters won Women with 89, Elaine Gong won Senior Women with 93. Maxine McCormick broke another record in the Intermediates with a near-perfect score of 99. Had she competed in the Mens Division, she would've finished 2nd. A light week with the Labor Day weekend ahead. 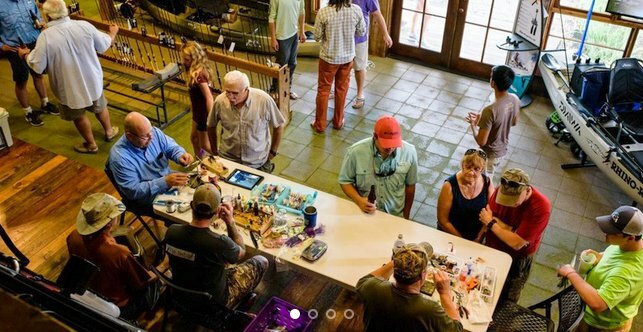 On Monday, the Red Stick Fly Fishers hold their monthly fly tying session at the Bass Pro Shops in Denham Springs. Time is 7:00pm. Bring your tools, if none, the club has a few sets for use during the session. Materials are provided. For more info, go to www.rsff.org. 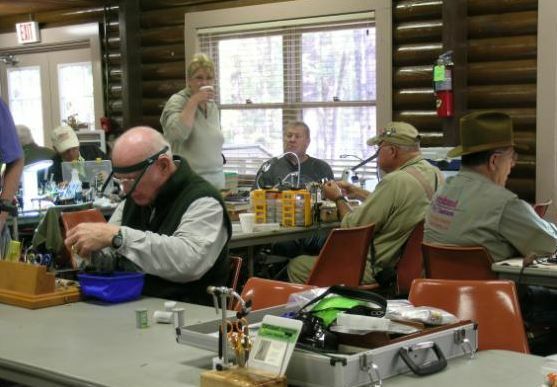 Also on Monday, the Kisatchie Fly Fishers hold their monthly general meeting at the Rapides Westside Library in Alexandria. Time is 6:30pm. The meeting is open to the public. For more info, go to www.kisatchiefly.org. 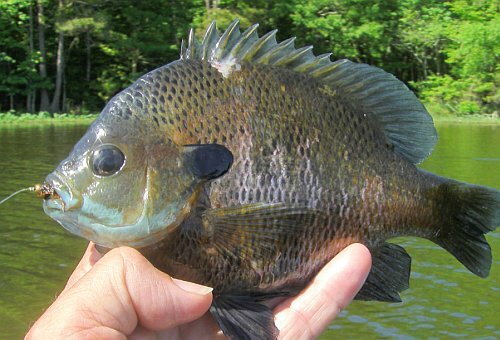 On Thursday, the New Orleans Fly Fishers hold their monthly meeting at Lakeshore Marina and Fuel on 7640 Lakeshore Drive. Time is 7:00pm. A.J. Rosenbohm will have fly tying materials from Olde Town Fly Shop (now closed) for club members to purchase at 50 percent off. Guests are welcome. 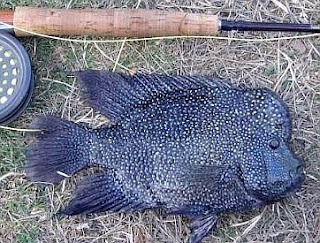 For more info, go to www.neworleansflyfishers.com. On Monday, the Kisatchie Fly Fishers hold their monthly fly tying session at the Rapides Westside Library in Alexandria. Time is 6:30pm. 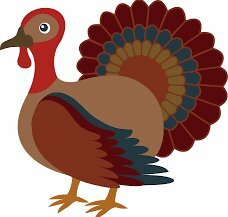 This month, the group will tie the Meat Whistle. Bring your tools, if none, the club has a few sets for use during the session. Materials are provided. Beginners are welcome. For more info, go to www.kisatchiefly.org. 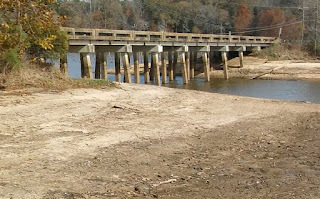 Also on Tuesday, the Kisatchie Fly Fishers will be exhibiting at the Alexandria Farmers Market as part of their "Outdoors Recreation Day". Location is 2727 Jackson in Alexandria. Time is 3:00pm to 6:00pm. 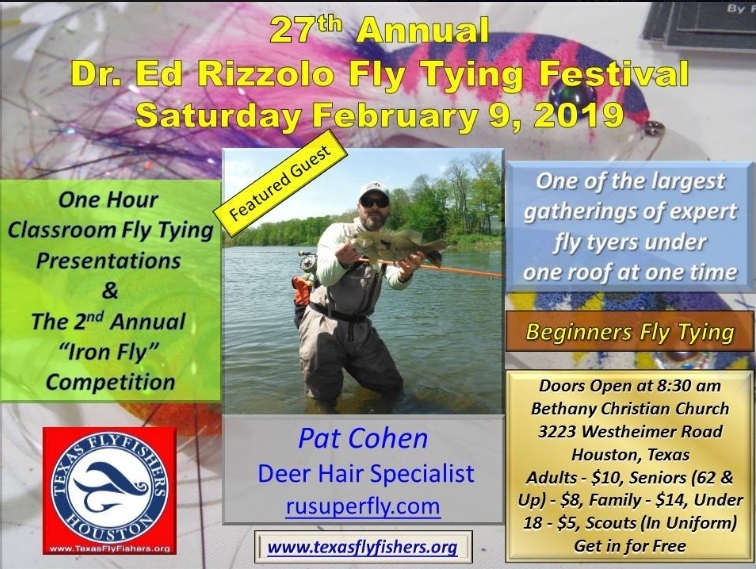 The club will be tying flies and giving fly casting instruction. Friday and Saturday, it's the Ride The Bull. More on that following. 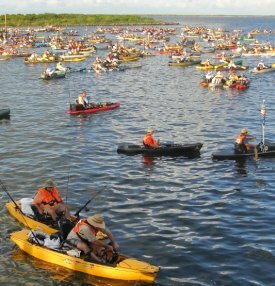 This Friday and Saturday is the 9th annual "Ride The Bull" kayak fishing rodeo out of Bridgeside Marina on Grand Isle. 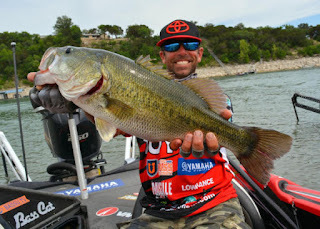 The world's largest kayak fishing tournament, RTB was the brainchild of Danny and Kristen Wray. After Kristen's untimely passing, CCA Louisiana agreed to take the reigns. 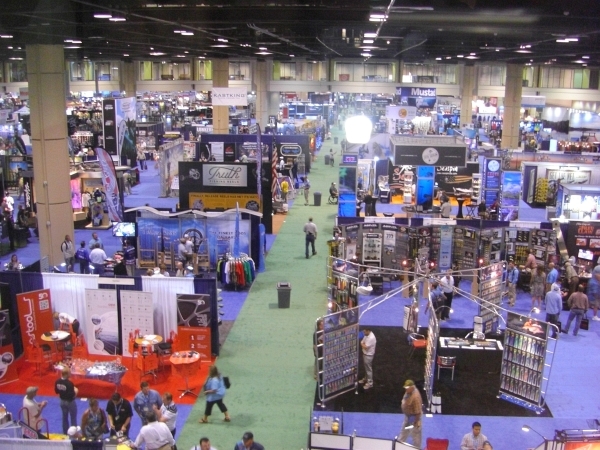 The event is one of the most celebrated fishing events of the year, with between 500 and 760 participants from across the country and globe, and thousands in prizes. 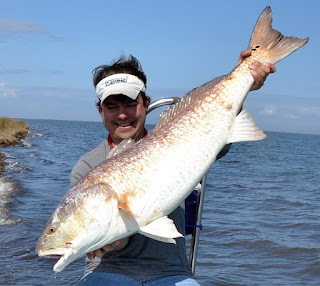 The tournament remains the same, with the goal being to catch the heaviest bull red. There is some basic skill and proper tackle involved in catching and landing a bull red, but beyond that, this is a tournament of chance. And that's what makes it so attractive - that anyone can win! When a red is caught, one of several CCA scout boats is flagged down. The boat takes the red back to the marina to be weighed, tagged and released. Every imaginable watercraft can be seen at this event, from kayaks to pirogues to canoes to standup paddleboards to roundabouts. With so many participants, it's a great opportunity to see just about every type of kayak, every type of rigging and every type of transport. Friday evening is the Captain's meeting and dinner, with Saturday the tournament and awards. It's a shotgun start, weather permitting. The early regisration period is over, however onsite registration begins Friday evening and up to tournament time on Saturday. Entry fee is $85 and includes entry, dinner, t-shirt and CCA membership for 1 year (or extended). For more info, go to www.ccalouisiana.com. BHA member survey results. This week, Backcountry Hunters and Anglers - one of the fastest growing organizations in the country with over 24,000 members - released results of a demographic survey. It found that nearly 70 percent of its members are under 45 years old, and that political affiliation ranges the gamut - 33% independent, 23% Republican, 20% Democrat. The significance of this cannot be overstated: this shows that young outdoors men and women of ALL viewpoints support the protection of public lands and waters. 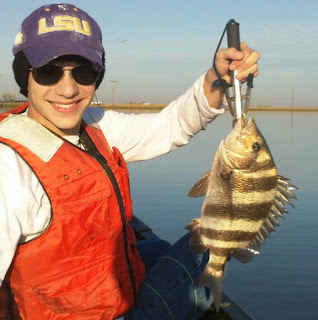 BHA has been very active here in Louisiana, and supports public access to open tidal waters. For more on this survey, click here. PAC Kayak Fall Fly tournament. With the success of the two "Fly Fishin For the Mission" tournaments benefitting the Mission Six non-profit, Eddie Mullen of PAC Kayak Rentals and Matthew Roberts of Troll Squad / Mission Six have organized a fall event. Date is Saturday, October 13. This one is a bit different in that it'll be a CPR (catch-photo-release) using the Tourney X app to "weigh-in" catches. Most total inches instead of weight. As with FFFTM, there's separate Kayak and Boat divisions. But two categories - Redfish (2 longest slot reds) and Mixed Bag (longest 1 each red, speck, drum, sheepshead). The Mixed Bag addition is drawing lots of interest especially among speckled trout and "goat" enthusiasts. For more info, go to www.packayakrentals.com. Friday Fly Tying. Allen Fly Fishing started as a small scale manufacturer of fly reels with direct sales online. They've grown in size and expanded their product line to include rods, apparel, hooks, beads, and more. 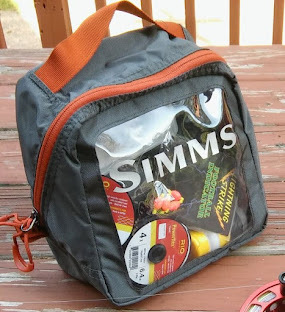 They're also working to promote fly tying with a series of videos they call "Friday Fly Tying". Each Friday, Allen subscribers on Instagram and Facebook get notification of a new pattern. The first dozen and more are simple but effective patterns. The list will continue to grow. Beginner tiers can check out the video archive by clicking here. Counting down to cooler water. Fall officially begins a month from now. Some will say it really doesn't begin in Louisiana until the first week of October. But if you own a swimming pool, you know all about radiative cooling - and that it begins the first full week of September. Water temperature is what it's all about. 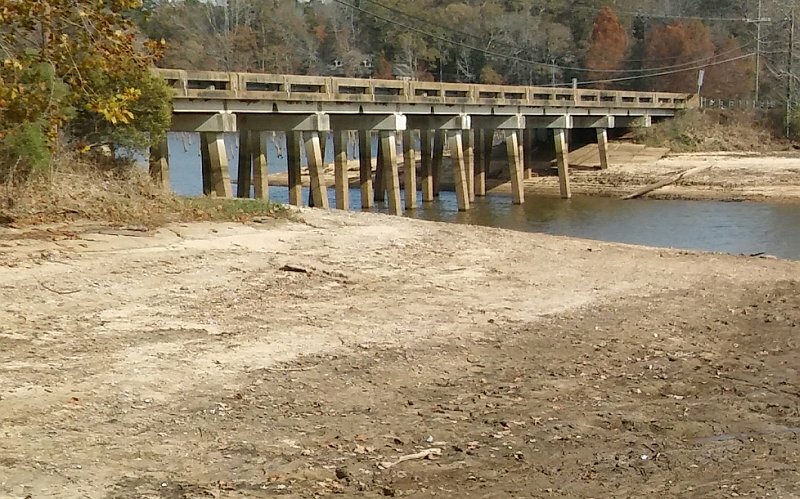 First time it dips below 80 degrees is when freshwater fishing in north and central Louisiana turns back on. 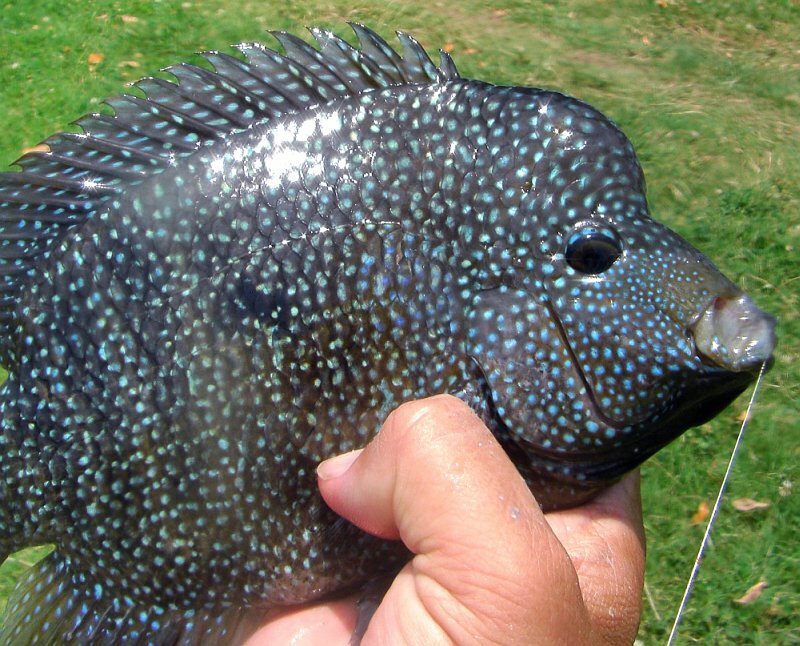 Especially for bass, crappie and redear. Next week's cool front won't do much - highs will still be near 90 and lows in the upper 60s. But let's see how water temps respond. 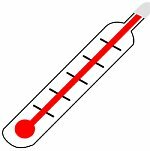 As of today, the temperature here on Cotile Lake was a tepid 86.5 degrees.